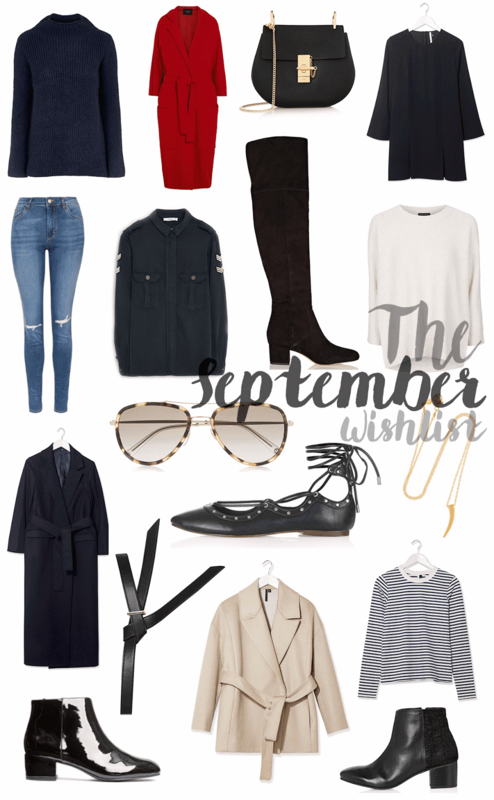 As soon as it hits September I am aaaall for Autumn dressing. I’ve already bought my first coat and I’m searching pretty much every day for other ones I can pick up! Is that weird? It might be, but AW is my favourite sartorial season. Give my all of the layers and knits and boots and I’ll be the happiest person in the world (until I realise the temperature drop). Are any of you like that? Obsessed // Belted everything and anything, lace up flats, patent boots, calf length coats, flared sleeve dresses, military and aviator styles, gold details, over knee boots and the colours white, navy and red. Short and sweet post today – what are you loving at the moment?